To issue a license code i will need to know what the name of your restaurant is. To find the restaurant name follow the below instructions. 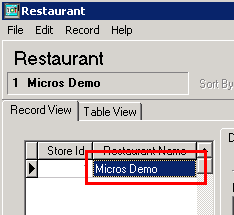 Select the System tab and choose the Restaurant button. See the restaurant name here. The name is case sensitive.